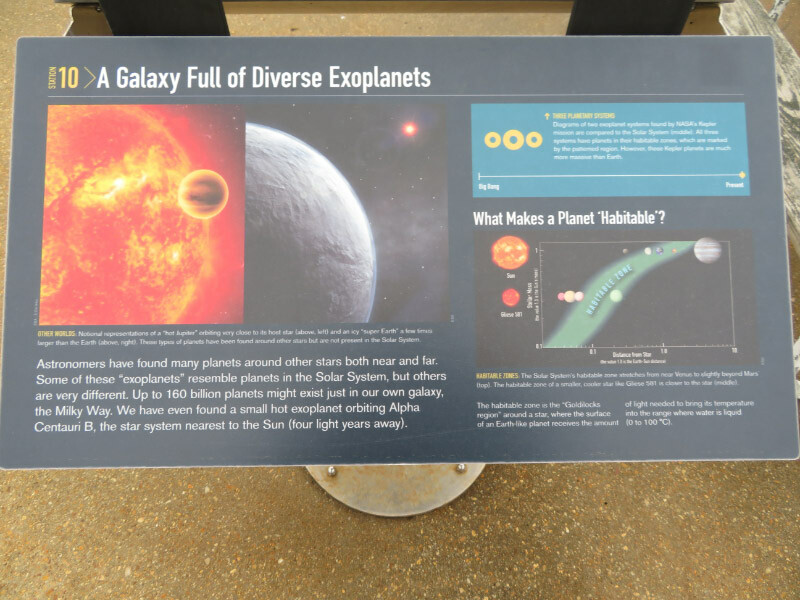 Back in the early days of HoLLIE classes, we met in the parking lot of the NASA Goddard Visitor Center before going to our class; it was before it opened so I wanted to go back to see the visitor center exhibits. Last week – it happened. It was a cloudy morning with rain in the forecast. The center opens at 10 and I was there a few minutes afterward. There were only a couple of other early visitors. 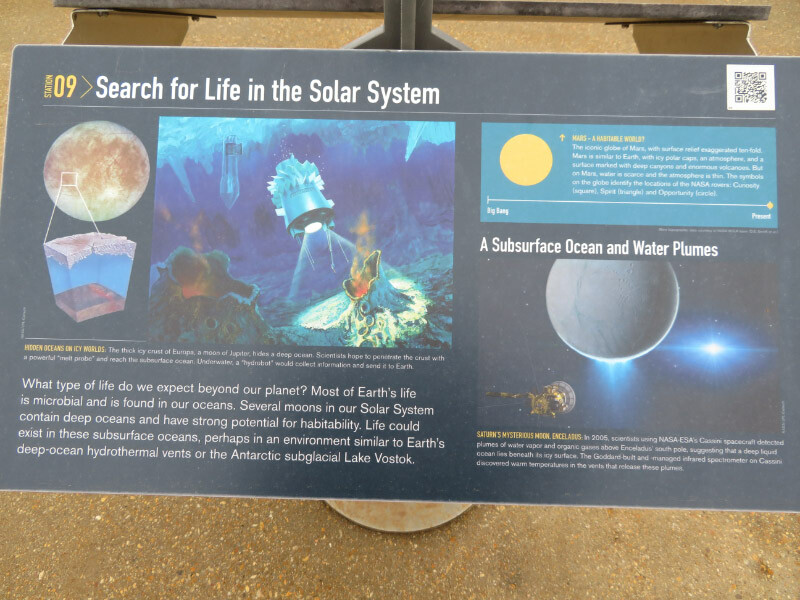 I decided to do the outdoor Goddard Rocket Garden and Astobiology Walk first – since I wasn’t sure the weather would stay dry. 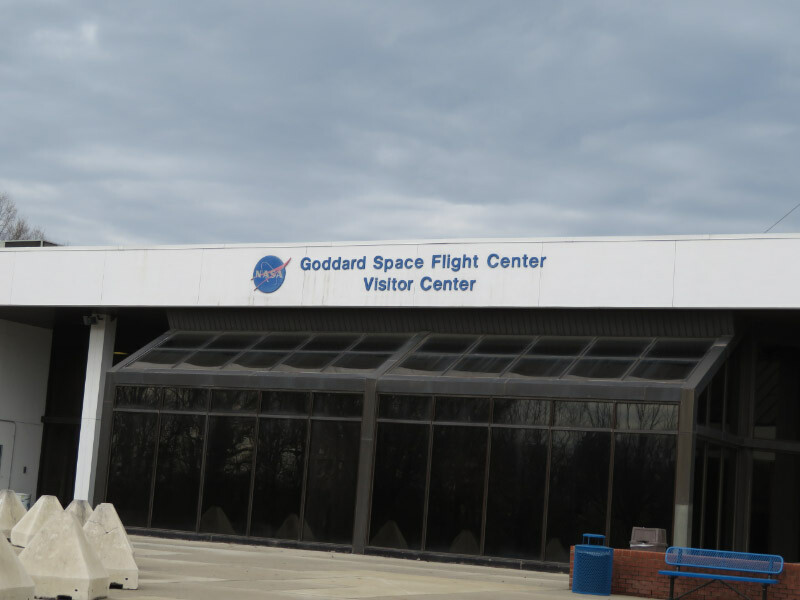 Did you know that grooved pavement used for airport runways and other pavements was the result of a NASA Wallops Island study from the 1960s? 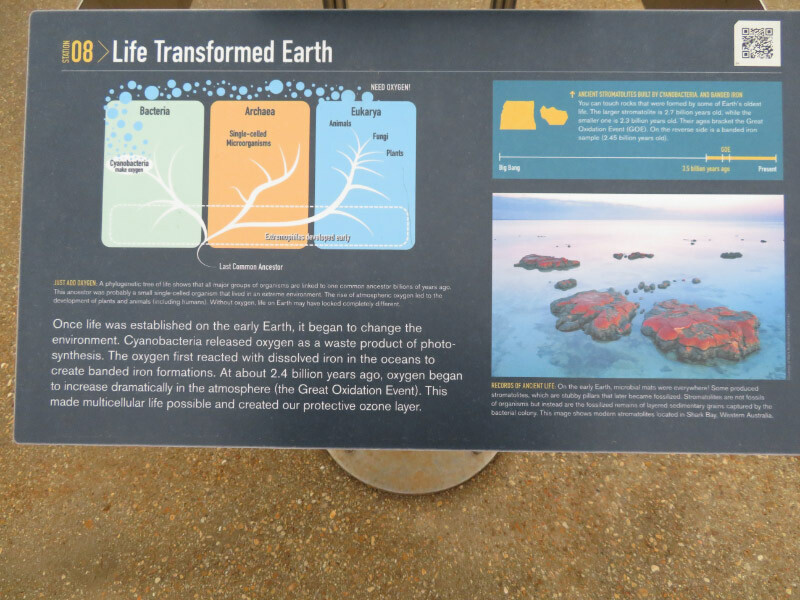 I took a lot of pictures of the astrobiology walk and made a slide show of them below (use the arrows to go through at your own speed). My favorite displays were the two showing banded iron specimens. Inside – there was a full-side mechanical prototype of the Lunar Reconnaissance Orbiter (LRO). We saw the operational control room for the mission during the HoLLIE class. It’s quite a thrill to know that the mission is ongoing – knowing that my daughter was an undergraduate at Cornell when LRO reached the moon and she helped with some of the initial image calibration since she had developed calibration skills in her part-time job calibrating images from the Mars rover. There was also an exhibit of the new James Web Space Telescope – comparing its mirror with the one on the Hubble Space Telescope. There was also a fun exhibit with two cameras and monitors. One was an infrared camera. It picked up the residual heat from ones feet on the carpet as one walked away from its field of view! I bought a Cassini Grand Finale t-shirt for my daughter at the gift store; she used some data from Cassini for a couple of papers while she was an undergraduate. Hurray for good experiences!